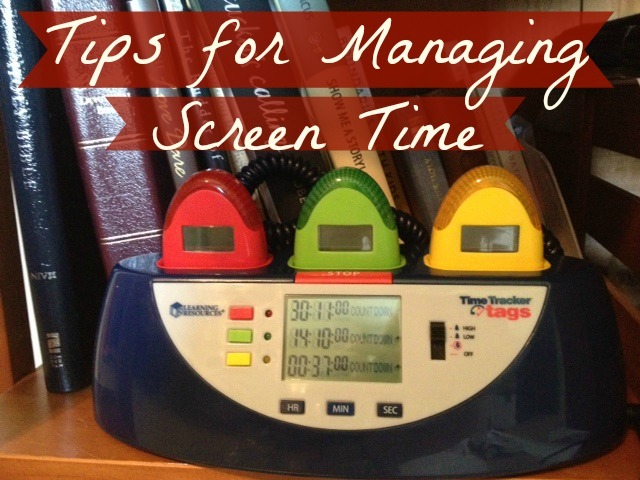 We have employed various strategies to help put limits of the screen time. And might I just comment on how the term “screen time” keeps growing to include more and more devices and avenues for our kids to participate. In our house, we have an array of devices the kids like to use. Most of them are “family devices,” but our oldest has an iPod that she bought with her own money. It’s a lot to try to monitor and limit. 1 A tv show or thirty minutes of screen time in the morning.